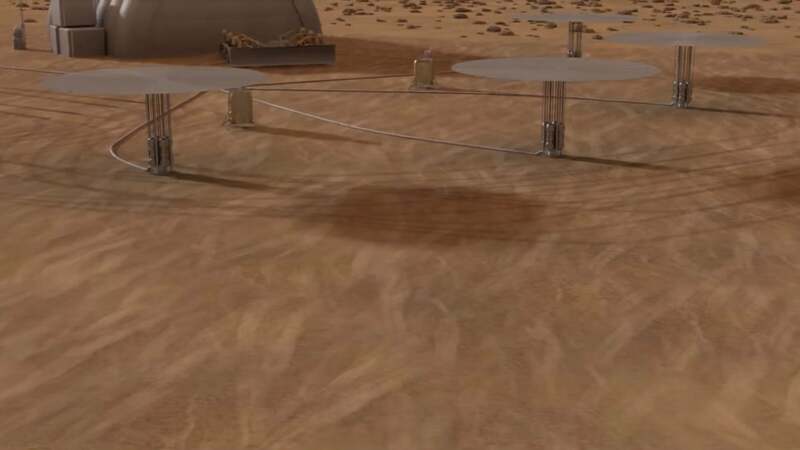 NASA has been working on a Kilopower project that may provide a new way to power missions to the Moon, Mars, and beyond. The NASA Kilopower project has been in process since November of 2017 and we’ll see an announcement within the coming days regarding NASA’s progress on the technology and what exactly it might mean for our trips deeper into space. In order to make missions to the Moon, Mars, and many other destinations a success, astronauts will need a way to produce power. Whether that’s for basic necessities like lighting, water, and oxygen or to accomplish objective such as running experiments or producing fuel to be used on the long journey back to Earth. Kilopower is perhaps the most promising method by which astronauts could produce power for a potential moon or Mars base, and takes advantage of pioneering space fission power systems that could provide around 10 kilowatts of electrical power – enough to run two average households – for a period of ten years. This would be a phenomenal achievement that would make the trek deeper into space a real possibility. With our current technology, we only have a limited reach due to the limitations of power supplies and other key aspects of bringing humanity to other planets. If the kilopower project proves to be a success, we may be one step closer to expanding our reach beyond Earth – perhaps bringing the average person to outer pace within our lifetime. The Kilopower prototype was designed and developed by the NASA Glenn Research Center in collaboration with the NASA Marshall Space Flight Center and the Los Alamos National Laboratory, with the reactor core provided by the Y12 National Security Complex. The prototype power system was shipped from Cleveland to the Nevada National Security Site in late September. Throughout the last several months, the team has been running tests on the reactor core, and according to the NASA’s Marc Gibson, the Kilopower lead engineer, the power system was attached to the core for end-to-end checkouts back in January. The Kilopower test expected to last around 28 hours was late last month, and it appears as if NASA may soon start to make an announcement regarding the results of the project and whether or not it will be applicable to our eventual expansion to Mars and the Moon. With furthter news of Kilopower, we’ll likely see a rapid expansion of our capabilities to explore alien worlds with one of the key issues holding us back finally being solved. This news highlights the fact that Kilopower may add more to our understanding and capabilities than a simple power source for a moon station. By adding a new way to power equipment that can head into the far reaches of the moon or Mars – opening up areas that we hadn’t been able to explore previously and potentially giving us more information about these planets that have so far proven rather inaccessible. Kilopower clearly has a lot of potential, and we’ll find out more about what the technology is actually capable after a “major announcement” concerning our capabilities to bring nuclear power to outer space. With the ability to implement fission power on the Moon or Mars, we can enjoy abundant energy anywhere that humans or robots need to go – opening up the vast swaths of the universe to future probing.